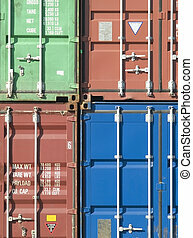 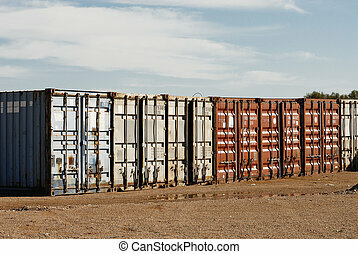 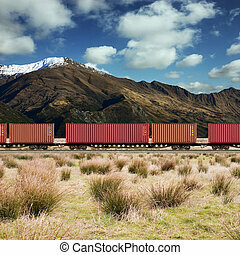 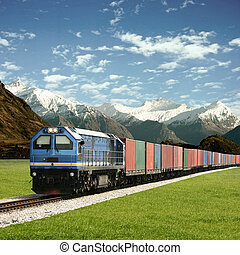 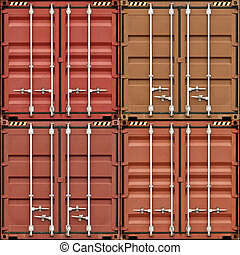 Freight containers. 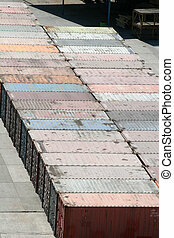 Stack of freight containers at the docks. 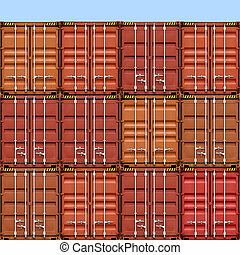 Stack of 40 foot freight containers, side view. 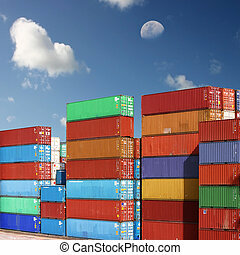 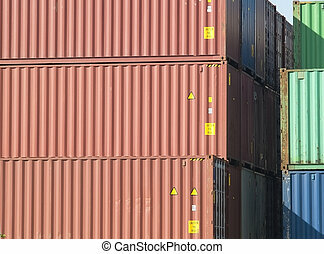 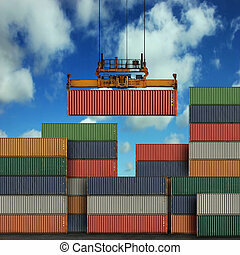 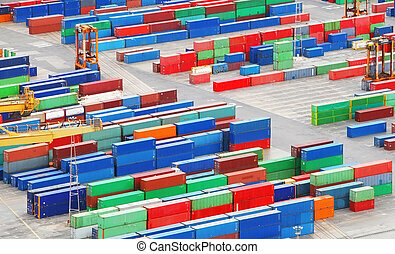 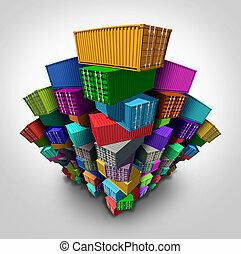 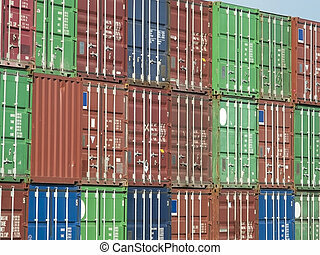 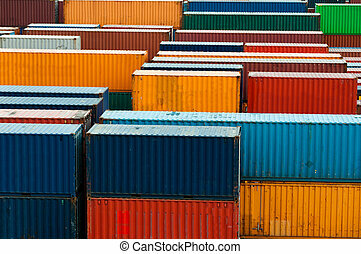 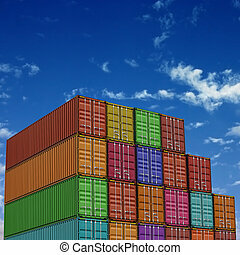 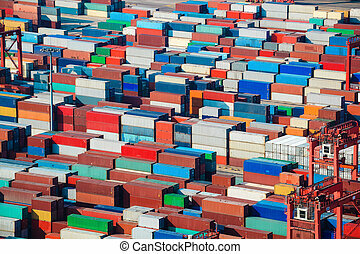 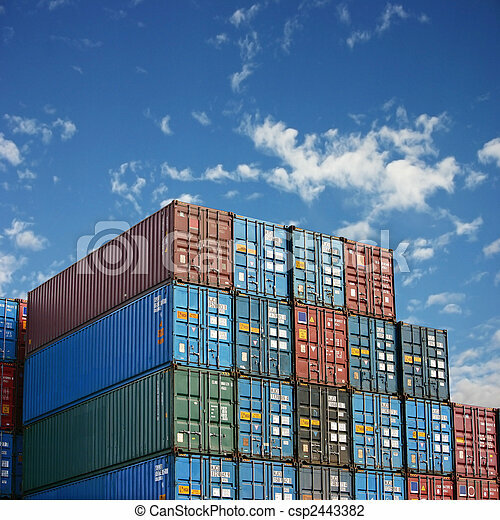 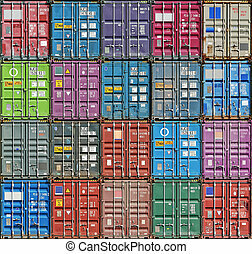 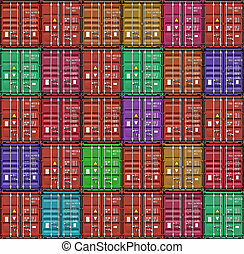 Cargo freight containers stacked high in a group as an export import shipping concept or embargo and sanctions symbol as global trade management icon. 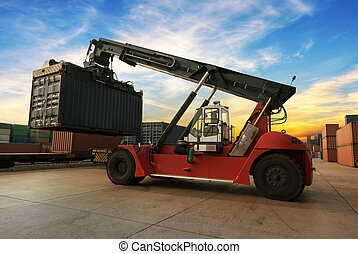 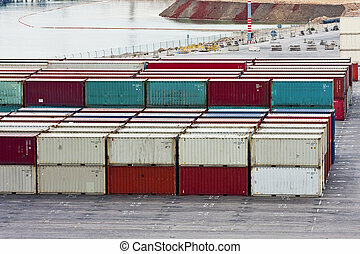 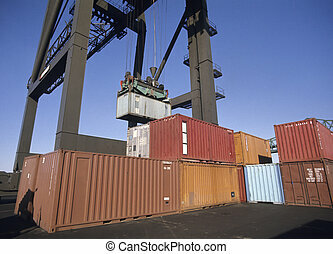 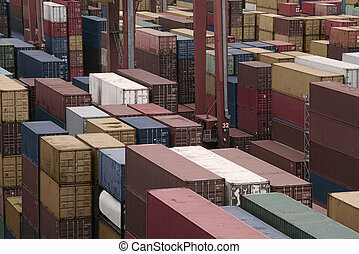 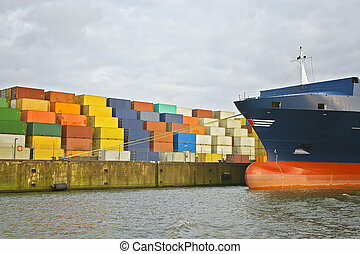 Cargo freight containers in sea port. 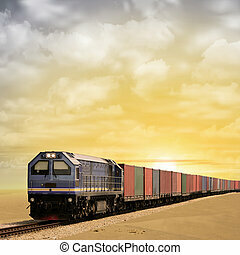 A Freight Train with Sunset, Sunrise. 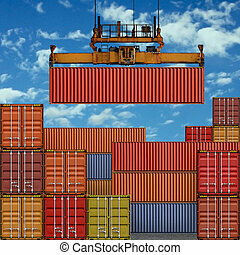 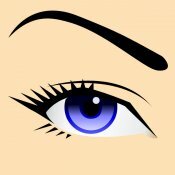 - A manipulated photograph with some illustration elements.